Anyone here enjoy a good cigar? So, for my first post here at The Shave Nook, how many guys and gals here enjoy premium hand made cigars? Dominican Republic, Ecuador, Nicaragua, Brazil, Honduras, Cuba, etc... I enjoy them now and again, how about you? I love hand made cigars...I usually keep several around to smoke while I'm gardening, grilling, and golfing. 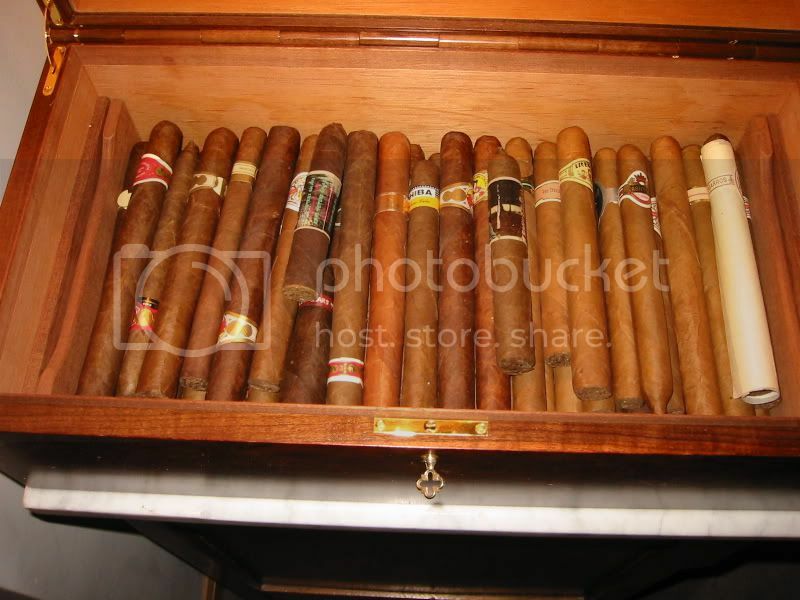 Some of my favorites are Cohiba, Acid, Alec Bradley, and Gurkha. How about you? beyond seasick. The 'Old Man' is smoking his cigar and I coughed. He immediately apologised. I said " skipper, truth is I'd feel better if I could smoke too. He cut the tip of his spare,stuck it in my mouth and lit it just before we were hit by two mammoth waves and I was making corrections 2 seconds ahead of his order. We nosed through and I began humming the Sloop John B by the Beach Boys without realising it. Skipper started laughing and began singing the words. The chief of the boat came up,took one look and just shook his head. 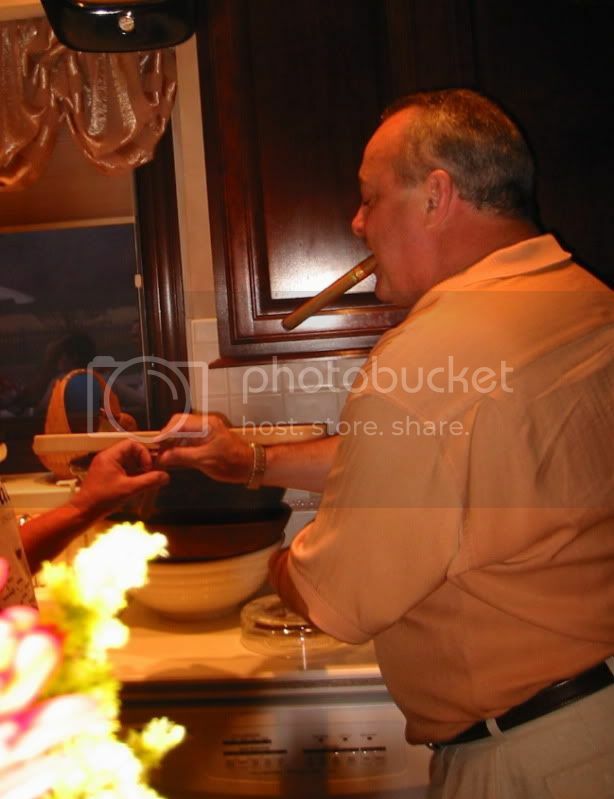 His cigars were Honduran,long things with a light aroma and I've always wondered what brand they were? I'm enjoying H. Upmann (Cuba), Trinidad (Cuba), Pinar Del Rio, CAO Brazilia, La Aurora, 1495 BME series, Capadura (hard to find lately), A. Fuente, Diamond Crown. Looking forward to summertime around the backyard fire with a good stogie. I have a box of A. Fuente in the humidor. I smoke maybe one or two per week if the occasion arrises. Most of my smoking is with a pipe. Smoking cigars is one of favorite pastimes. To me there is nothing quite like an evening on the porch in quiet solitude with a fine handmade cigar. You bet. Last year I finally dug a fire pit towards the back of my property. Made a 12 foot diameter ring, filled it with 3/4 gravel and a nice cast iron pit. Some easy chairs and a favorite drink with a nice cigar, just perfect. (04-05-2012, 10:47 AM)DBrie Wrote: Pancho...you da man! My grandfather Louie loved cigars. When I was a kid he would send me to the store to buy cigars for him. The store owner would look at me and ask who are they for. I would say for my grandfather and that was that. Today my grandfather would be in jail. I remember he smelled of cigars all the time and I loved it. He had this large copper ashtray on a stand and he would smoke and listen to long hair music on the radio. My grandparents had no TV, car and my grandfather didn't drive. Pancho, I need the address where that front door is located. Blame it on my grandad and dad but there is always at least one box of Cohibas in the house! I am trying to convince myself I am of a mature enough age to get my first pipe......! I enjoyed a Capadura 808 (6x60) last evening with a shot of B&B. Digging this thread up for any of the new members that may be cigar smokers. I've been enjoying them for about 15yrs now. I believe I just spotted an old favorite, lying atop an Avo, Is that a Licenciado? Cousin of the Cuban Diplomatico? I enjoy Padrons, Four Kicks and Headley Grange by Crowned Heads, Tatuaje Fausto, Jamie Garcias, Don Pepins, several Padillas. I like the spicy Nicaraguans. I used to smoke 7-10 a week, but now it is 1-3. I like a good cigar and can usually chomp my way through 3 or 4 on the golf course; it's the best part of the round most times. Rudyard Kipling summed it up very well, "A woman is only a woman, but a good cigar is a smoke."